Tonight we'll dive into the second release from Gordon & Macphail's new-look Private Collection, a 1985 Inverleven. The Inverleven Distillery was actually a distillery within a distillery. This compact distillery was built on the Dumbarton grain distillery site. 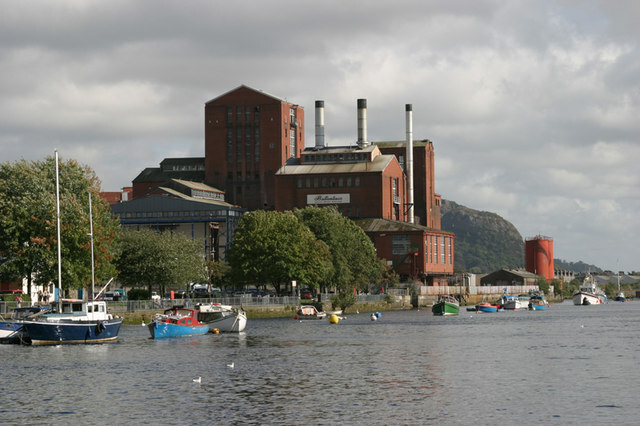 The malt whisky produced on site was used in Ballantine's Scotch whisky. In 1956 Hiram Walker installed an experimental Lomond still at Inverleven. Much of the distillery equipment was saved from demolition by a team of ten distillery workers from Bruichladdich. The Lomond still - nicknamed "Ugly Betty" is still in use at Bruichladdich to distill The Botanist Gin. The wash and spirit still were also shipped to Bruichladdich but were never used. Nowadays these stills work their magic in Mark Reynier's Waterford Distillery in Ireland. Colour: Gold in colour with a fat texture. Nose: Roasted coconut. Sweet and soft. Honey, caramelised pineapple and demerara sugar. Popcorn and sweet apple. Lemon-cheesecake, Key lime pie, linseed oil, orange and candle wax. With water: Somewhat dustier. Coconut and banana. Vanilla and brioche or sweet buns. Jamaican pepper. Taste: A peppery start. Having a bite of an unpeeled red apple. Grapes. Coconut and mint versus coffee and caramel. A heap of dark cacao and muesli or granola with seeds and malt. With water: Vanilla brioche with slices of banana and coconut. Creamy and sweet. Granola sprinkled with brown sugar. Finish: A long and soft finish. Vanilla, sugar and wood with a touch of mint and heather. I don't have any previous experience with Inverleven but it's a great start. When re-reading my notes on a 1991 Bladnoch from Malts of Scotland, there are some similarities in the tasting notes. Same region and the same type of barrel but Bladnoch was more widely available than Inverleven. Solid quality whisky but it comes with a price tag. Read the full background story on the Inverleven stills on Waterford Distillery's website. 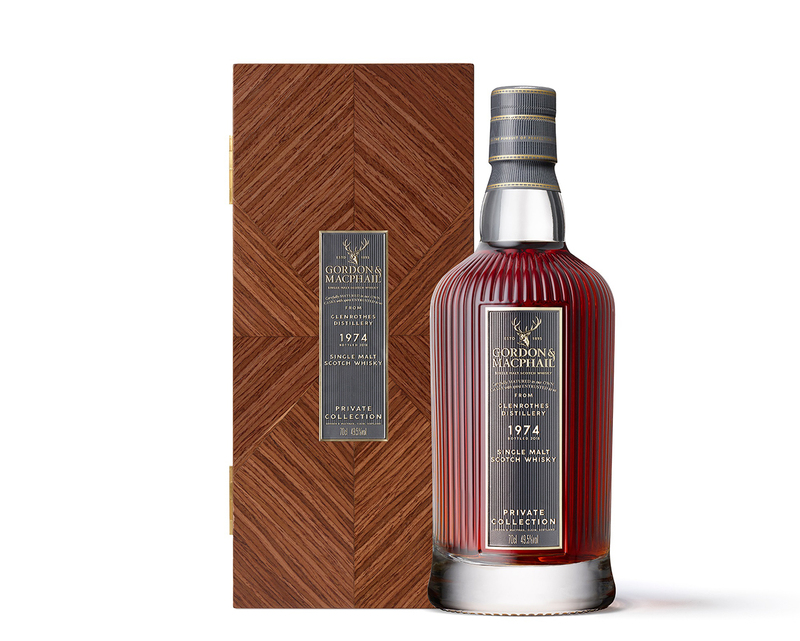 Sample Disclosure: Samples of the new Private Collection were offered by Gordon & Macphail. Opinions expressed in this review remain of course my own. Gordon & Macphail recently revised their entire core range. The Private Collection, featuring rare and older single casks, are selected by a member of the Urquhart family. Stuart Urquhart - who also selected cask #512 filled with 1961 Longmorn - picked the first two Private Collection whiskies with the newly designed bottles: a 1974 Glenrothes and a 1985 Inverleven. The Glenrothes distillery has been in de hands of Edrington and its predecessor for roughly 130 years. The whisky was mainly used in blends such as Cutty Sark from Berry Bros. & Rudd. Glenrothes as a single malt brand is much younger. The first official 12-year-old whisky first appeared in 1987. This 1974 single cask predates the official single malt whiskies from The Glenrothes. 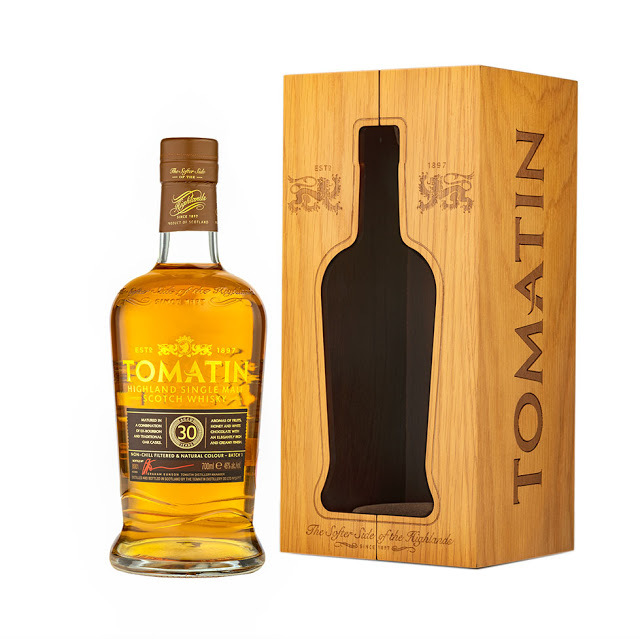 Tomatin launched in September 2018 a new 30-year old single malt in its range. The new whisky will replace the 1988 Vintage. The single malt was finished in first-fill ex-bourbon barrels and was bottled at 46% ABV. The first batch of around 3.000 bottles will market for around £300 or a price close to €337. Graham Nicolson, Tomatin’s Sales Director, said, “This luxurious expression is elegant and flavourful – a neatly packed whisky with taste sensations to delight the senses. From the spices that add an incredible depth to the creamy buttered vanilla that brings an unbelievable layer of richness – the 30 Year Old is definitely one for every whisky drinker’s gantry."